I consider myself lucky to have grown up in the glory days of the 16-bit generation. Despite being a die-hard Genesis and sports fan, I never had the pleasure of playing the original Mutant League Football. Clearly fans hold this franchise close to their hearts; supporting a new iteration nearly 25 years after the original game released. 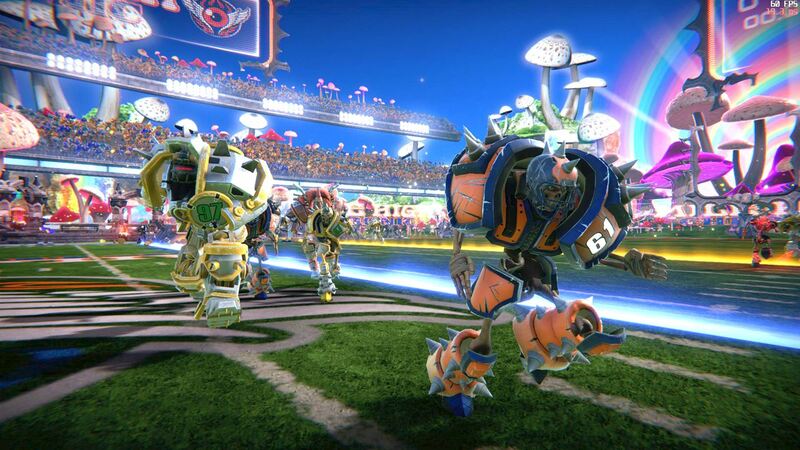 That new version is known as Mutant Football League and it recently arrived on Xbox Game Preview. While I sadly can’t compare the two versions, I’ve compiled the details of the new version for you below. 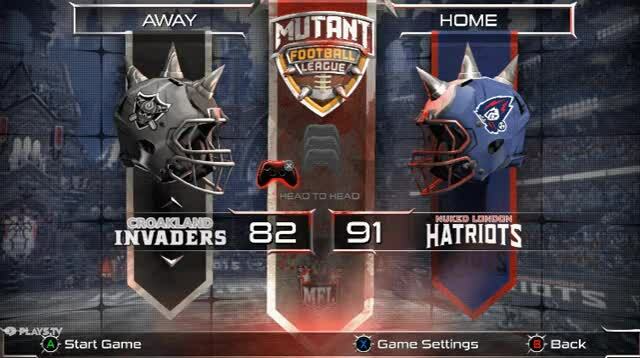 Check out the link at the bottom of the page to purchase Mutant Football League or download a free trial. In this preview version you get a handful of basic game modes like: exhibition, season, playoffs, practice and online multiplayer. In this preview version there are currently 18 teams, most with similar colors and names to their NFL counterparts. You got the Croakland Invaders, Grim Bay Attackers, Leaveland Burns and a few others which are more original like Tokyo Terminators and Galaxy Chaos (maybe these were in the original game on Genesis?). Each team has their own overall rating and players with similar names to those in real life at that position. Up to four players can play locally (2v2, 3v1, etc) and there are a variety of settings you can adjust. I would prefer more in-depth stats, but figures the Patriots-esque team has the best rating! The core gameplay felt somewhat like the NFL Blitz reboot that released on consoles back in 2011. Choosing a play is quick thanks to a variety of plays that are easily distinguishable as run or pass and just as intuitive to execute. In addition to more traditional plays are “dirty trick” plays that can be used on offense and defense. When the time is right you might use one of these plays to engage beast mode, which makes you difficult to tackle, or bribe the ref into calling a penalty on your opponent. Each team only has a few of these at your disposal, which can be used as an equalizer when going up against a team with a better rating. 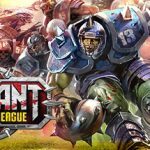 What sets Mutant Football League apart from everything else is the over-the-top violence, language and craziness that you won’t find anywhere else. Let me commend them for hiring Tim Kitzrow (voice of NBA Jam) as the head commentator. His voice is perfect for this type of game and him alone earns points with me when it comes to presentation. There are a couple other commentators with very distinct voices, almost as ghoulish as the players on the field. I want to emphasize the point that the commentary is very much adult themed; you will hear a lot of cursing and it is NOT appropriate for children (the game is appropriately rated M for Mature). Thankfully you can filter out bad language in the settings and even turn commentary off, should you desire. The characters vary; you might see a team of orcs, skeletons, robots or a combination of those and more. The video board is great for showing interceptions, fumbles and more. Not only is the language graphic, the gameplay is as well. The hits on the field spill plenty of blood and the field can even fight back in the forms of acid pits or man-eating worms that pop out. Players can easily become injured and even die; depending on your settings they can be unavailable for the rest of the game. While it seems possible to run out of position players, I’ve yet to participate in enough carnage for that to occur. When players are down after a play you can attack them, this will likely incur a penalty, but that player might be out indefinitely. The action is crazy and unpredictable, it takes arcade gameplay to a whole new level. Playing season mode gives you a chance to play or simulate, you guessed it, a season. If you aren’t interested in that long grind you can skip to playoffs mode and get right to the good stuff. That’s it for single player options in the current build. 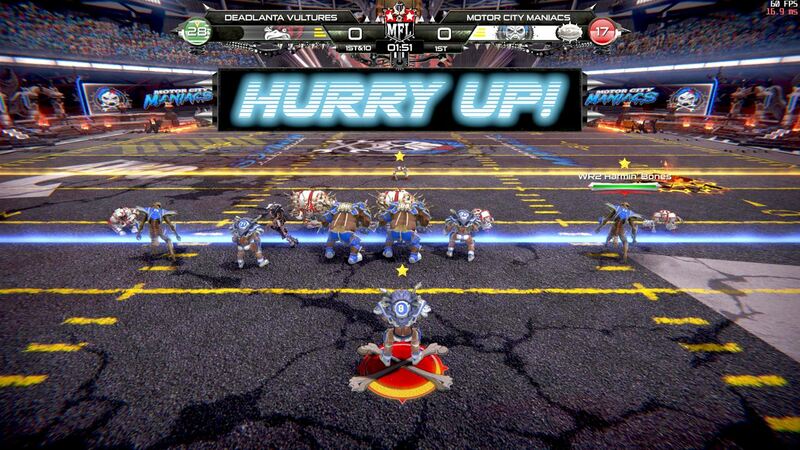 Online is where many players will get their money’s worth from Mutant Football League. I wish the game already had achievements and I would love to see more teams in the final build. Until then I can see myself coming back occasionally, as there are not many other good football alternatives on Xbox One. This trippy stadium is a welcome change from the fire and acid found in other arenas. Mutant Football League is currently priced at $24.99 USD, I highly encourage anyone interested to purchase it early. Most games see an increase in price upon leaving the Game Preview program. A preview code was provided by Michael Meyers Public Relations for the purpose of this coverage.